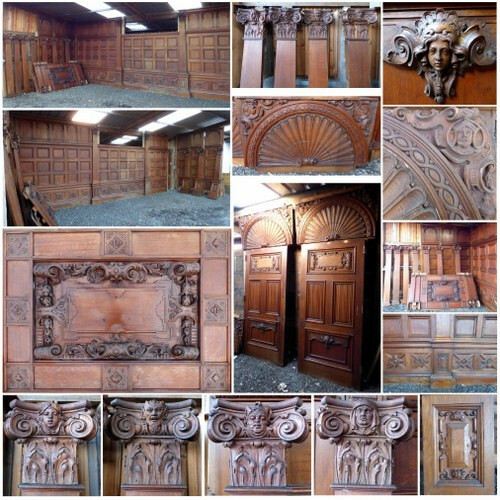 This stunning carved oak room panelling is of superior quality, and was reclaimed from Briar Clyffe House in Lowestoft, Suffolk, formerly the home of businessman and philanthropist Howard Hollingsworth. 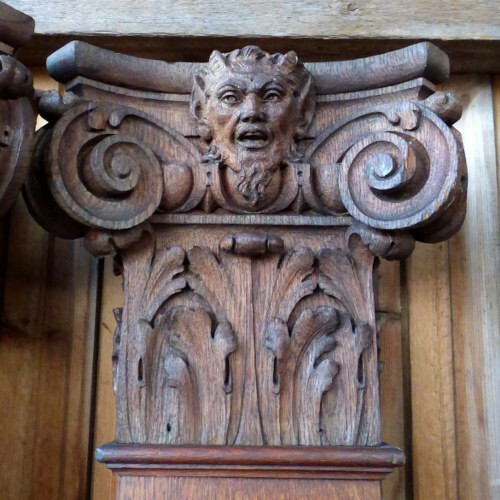 Oak panelling of this calibre is increasingly difficult to find, and this full room represents a rare opportunity to create an interior of unparalleled quality and beauty – ideal for a high end hotel, restaurant or private home. 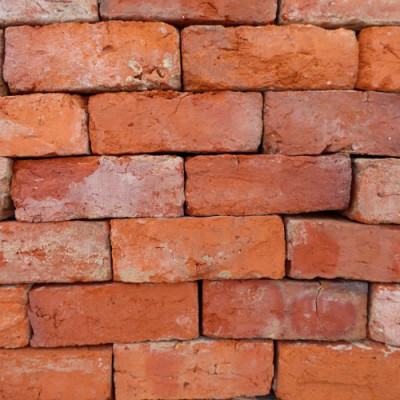 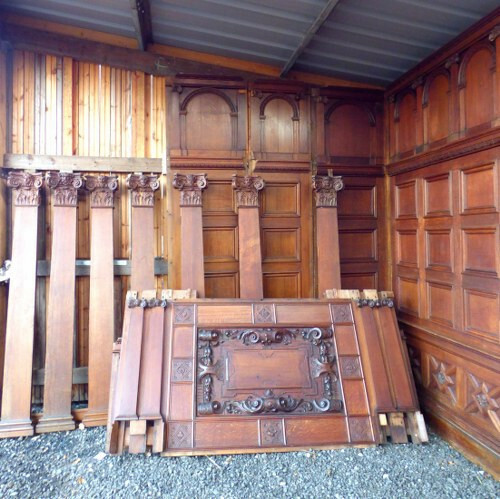 We think that it is right for the panelling, doors and fireplaces to stay together, therefor they are to be sold as a job lot. 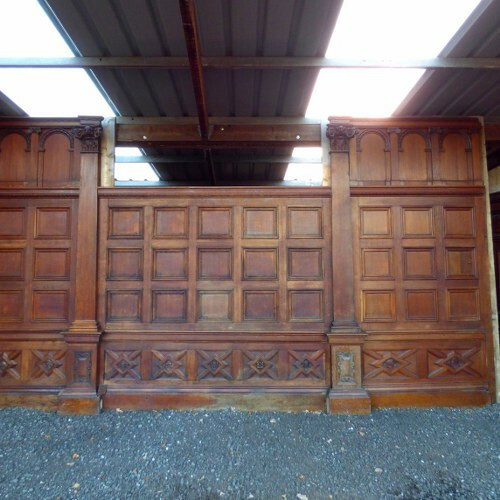 Viewing is highly recommended in order to appreciate the beauty and scale of this panelling. 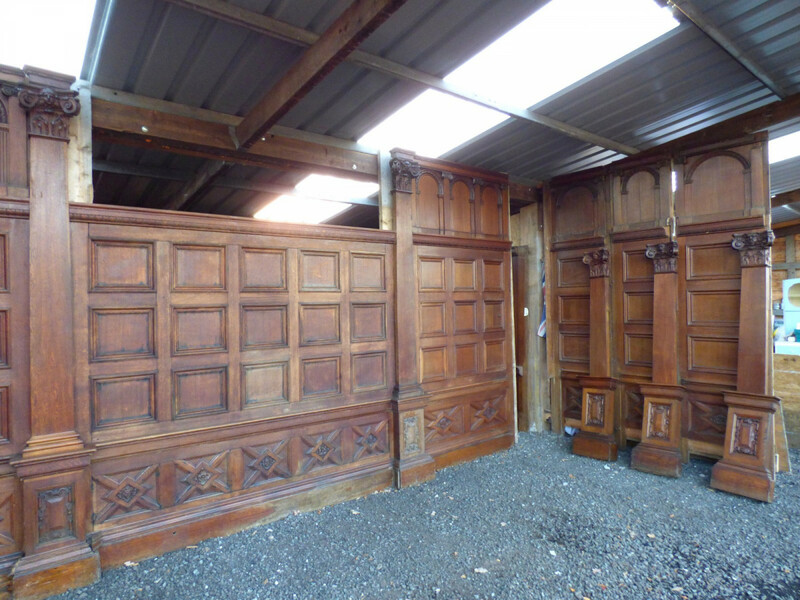 We also have another room of quality walnut panelling reclaimed from the same property, which is beautifully carved and in excellent condition. 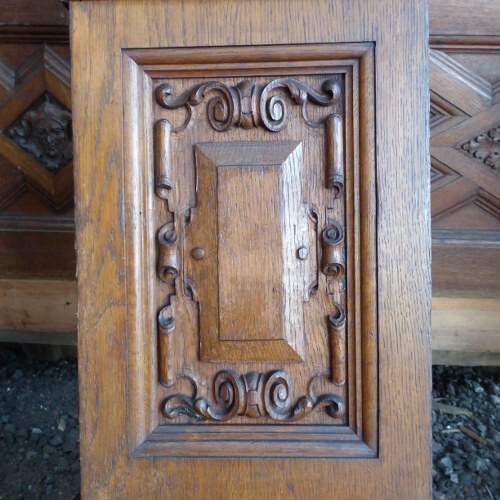 The oak panelling has a frieze dating it to 1911, and we believe the walnut panelling to also date from around this period.